No, I haven’t dropped off the face of the earth, although I can’t blame you for thinking so. Merely an extended leave of absence from the blogosphere. And the worst part is that I don’t even have an excuse. The only way I can rationalize it is that I was suffering from a delayed, long-term form of jetlag. I know, I’d already been in England for almost a year. Why would the change be catching up with me now? But I’ve been gone long enough, and I’m back now. I’m a little sad over having missed sharing the summer with you—don’t think that there wasn’t anything happening in my kitchen simply because it never reached the blog—but we’re right in the midst of harvest and autumn now, and then, of course, there’s the run-up to Christmas, the very best time for baking and cooking. Before I get back into the normal swing of blogging though, I have a few recipes that I’d like to share . . . ones that I had photographed and gotten all ready to go up on the blog when I took my prolonged and unexpected recess. But although they’ve been sitting in the queue for a long, long time, they are just too good to forget about altogether. 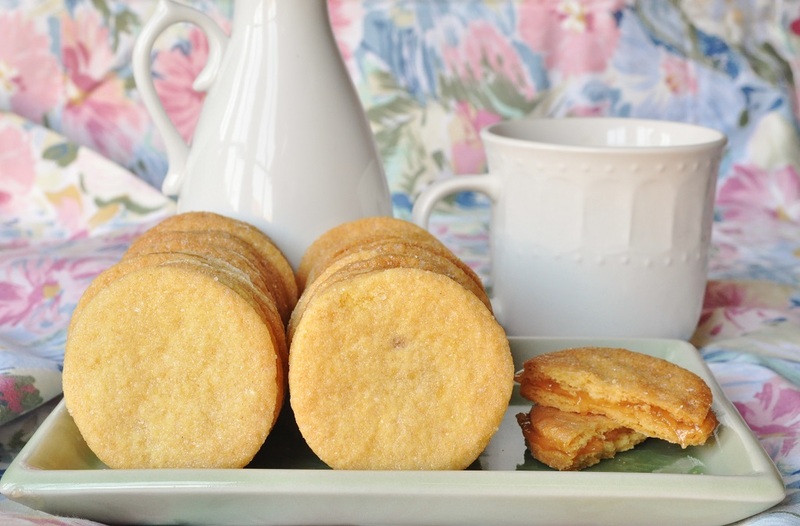 First up are these rose-cornmeal shortbread sandwich cookies. 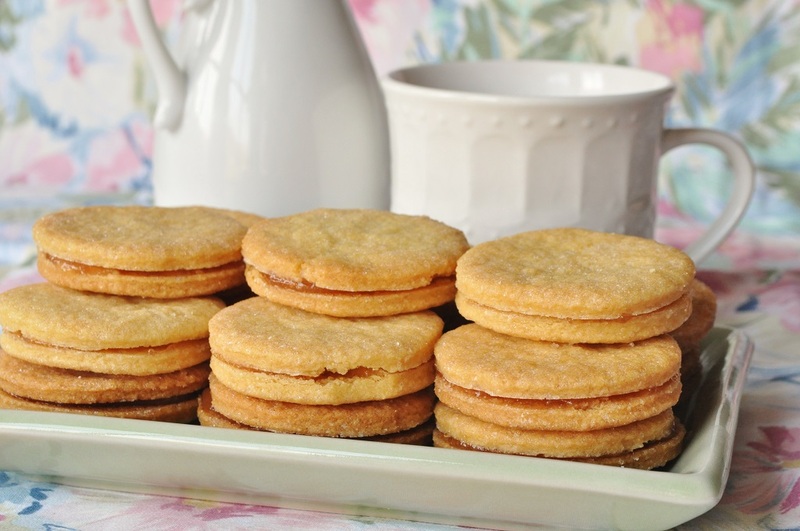 The dainty, sparkling morsels—which seem to me to be begging to be featured at a garden tea party—had a contradictorily unromantic beginning: I was simply trying to use up the end of a bag of cornmeal. Then I flavoured the dough with a touch of rosewater because I had a bottle of it hanging about in the cupboard. I wasn’t sure if the rustic, rather earthy flavour of cornmeal would pair well with the exotic, floral notes of rosewater, but it turned out to be an inspired pairing. 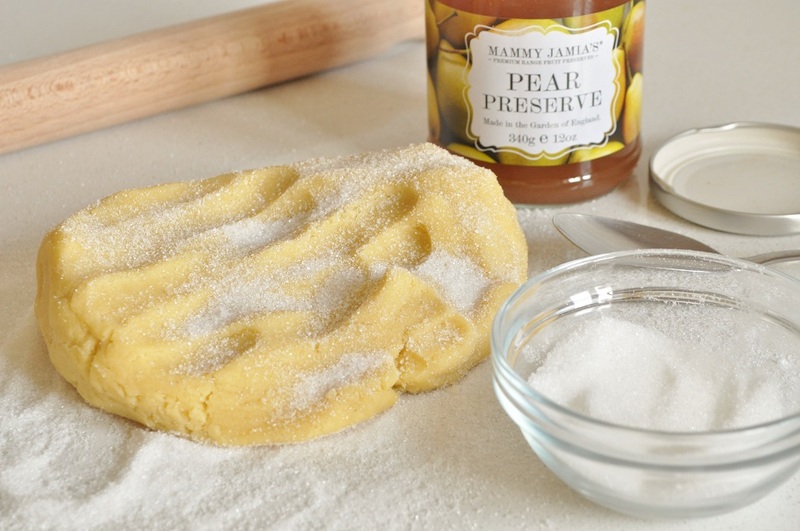 I used pear conserve to sandwich the shortbreads together, which was lovely; but come to think of it, raspberry jam would probably have been even better, since rose and raspberry are so delicious together. I leave the choice up to you. Or you could experiment with something entirely new, a pairing that you’ve never tried before . . . it might turn out to be an inspiration, too. 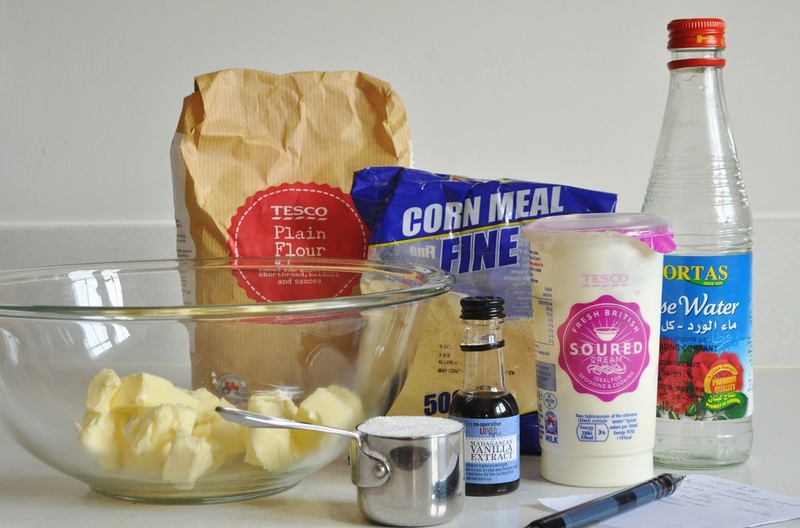 In the bowl of a stand mixer fitted with the paddle attachment, combine the sugar, cornmeal and flour. 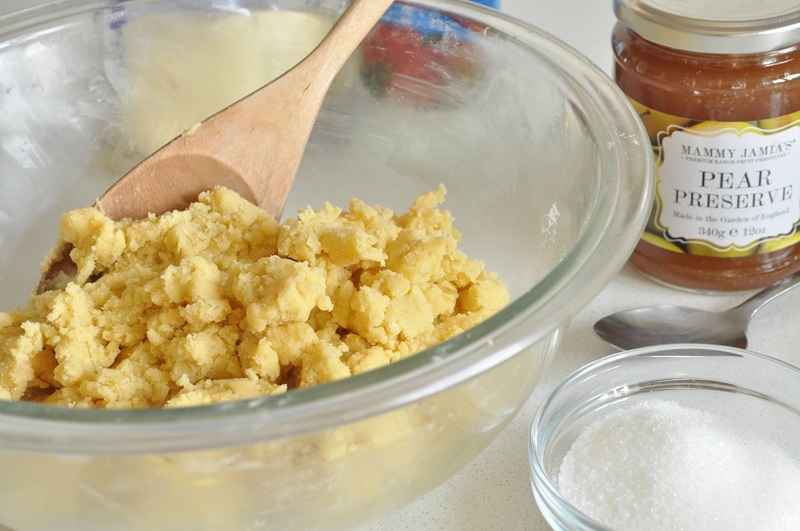 Toss in the diced butter and mix on low speed until the mixture resembles coarse breadcrumbs. Add the rosewater, vanilla, sour cream and honey, and continue to mix until the dough comes together into a smooth ball. Flatten the dough into a disc and wrap in clingfilm. Place in the refrigerator and let chill for 2 hours or overnight. Sprinkle a work surface with granulated sugar. 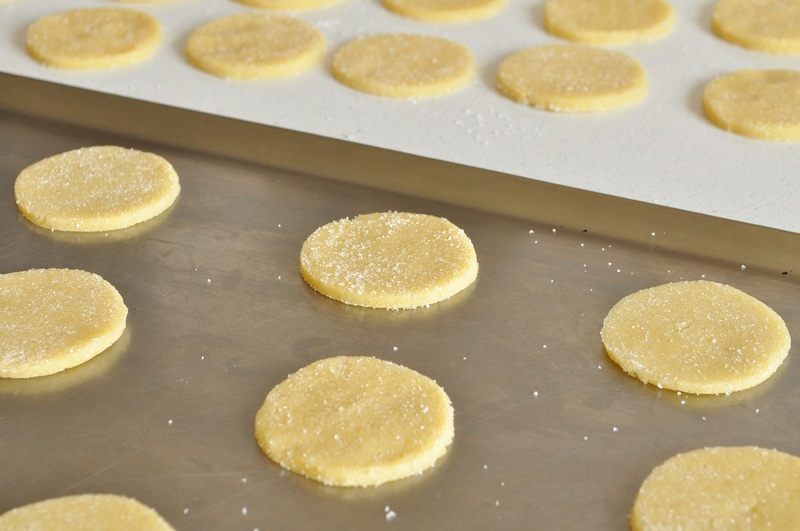 Unwrap the chilled shortbread dough and roll out to a thickness of ⅛ inch, sprinkling additional sugar on top of the dough as you roll it out. You want the dough to be thoroughly coated with sugar. Cut into rounds with a 2-inch cutter and place on ungreased baking sheets. 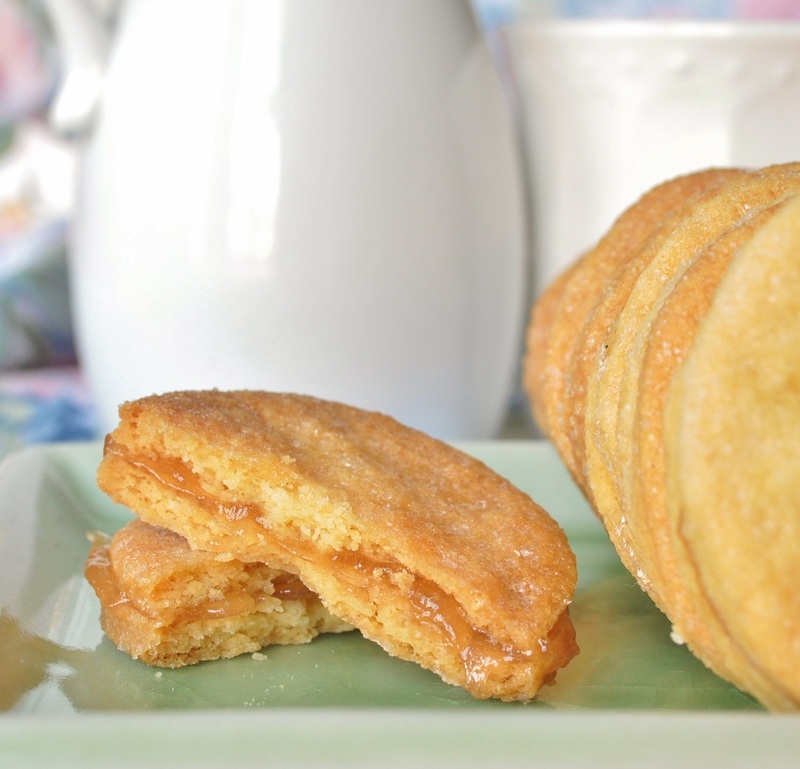 Bake until the shortbreads are firm and lightly gold around the edges, 10 to 15 minutes. Let cool on trays for 5 minutes and then remove to a wire rack to finish cooling. 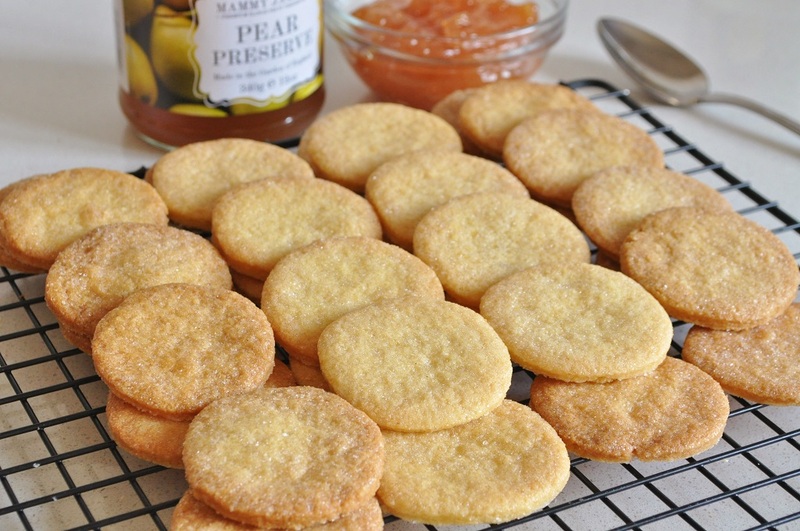 Spread pear conserve over half of the shortbreads. I use Mammy Jamia’s, which is lovely—my brother eats it at breakfast every single day. Place the remaining shortbreads on top of the conserve to form pretty, sparkly sandwich cookies. 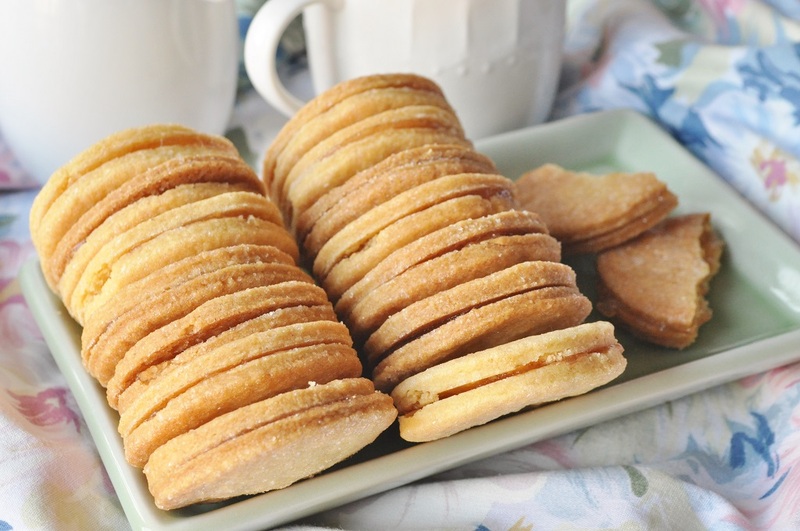 If you want to store the cookies, don’t sandwich them with the pear converse; do that right before serving so the shortbreads lose none of their wonderful crispness. 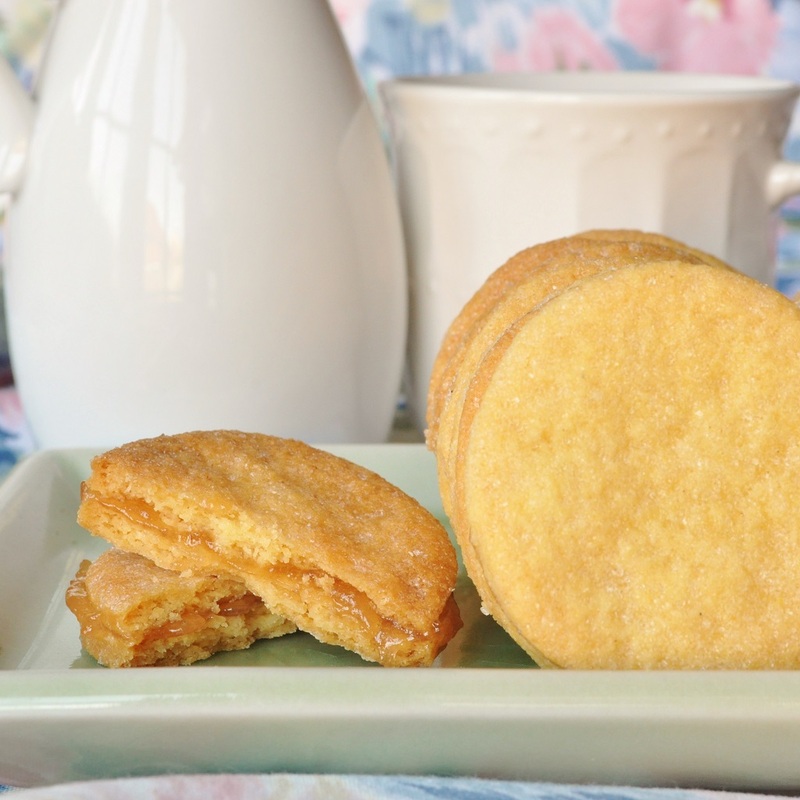 Unfilled, the shortbreads can be stored in an airtight container at room temperature for up to five days, or frozen for longer storage. *For those of us in Britain, you might find this labelled as polenta instead. It means the same thing! Welcome back! Good to see you posting again…. Thank you, Kate! It’s good to be back.